The City of Wildwood is a community with a commitment to preserving the unique character of western St. Louis County and creating a livable, sustainable community. The City values planning for the future, having created a planning process for all aspects of its government. This ensures the community’s native lands, open space, recreational needs and general lifestyle will be preserved. Wildwood recognized the need for children to explore their surroundings and for people to enjoy the scenery around them. 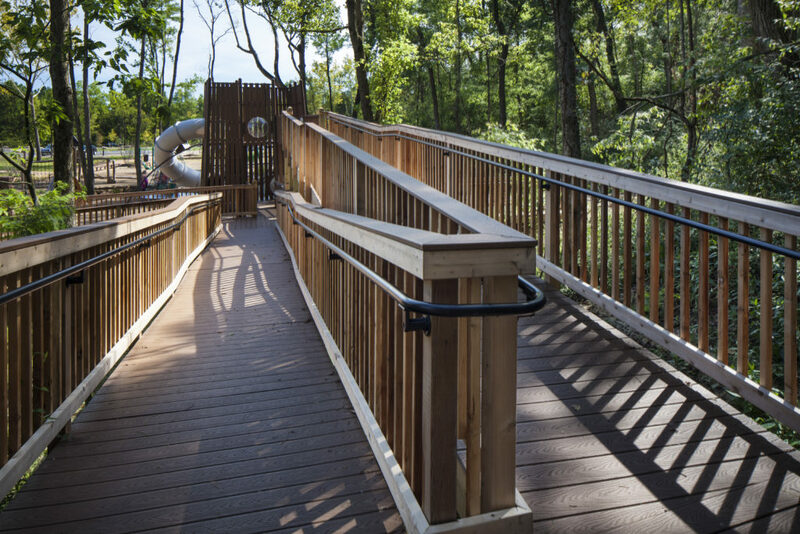 The City embarked on a journey to create a central community park that supports everyday activities of social and recreational life while balancing Wildwood’s unique character. Oates Associates was engaged to develop plans for this regionally significant park, which is comprised of 66-acres of land. The area features gently rolling hills, abundant grasslands, native woodlands, and a creek streaming through. The best layout for the park was based on the desires of the citizens, the surrounding development pattern and the physical characteristics of the land. Amenities of the park were realized in several community forums, and by garnering input from the steering committee, city staff and the design team. 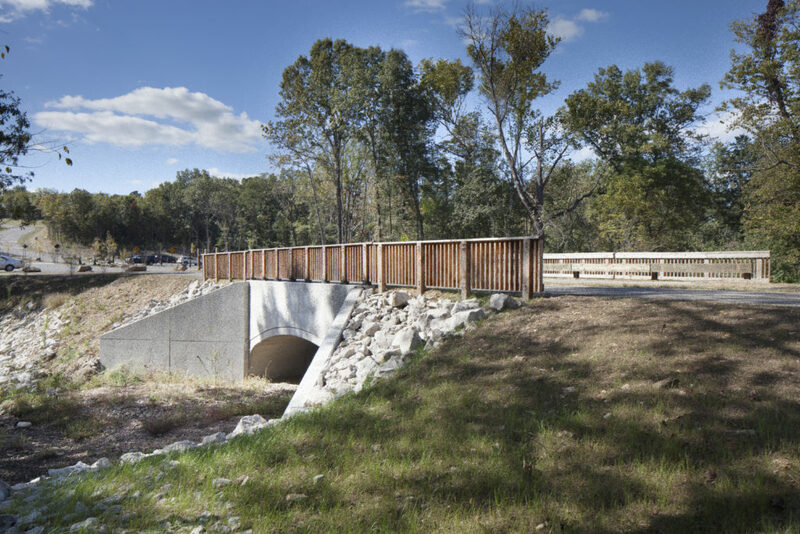 Subsequently, Oates Associates provided architectural, civil, structural, and survey services for Phase I of the park. 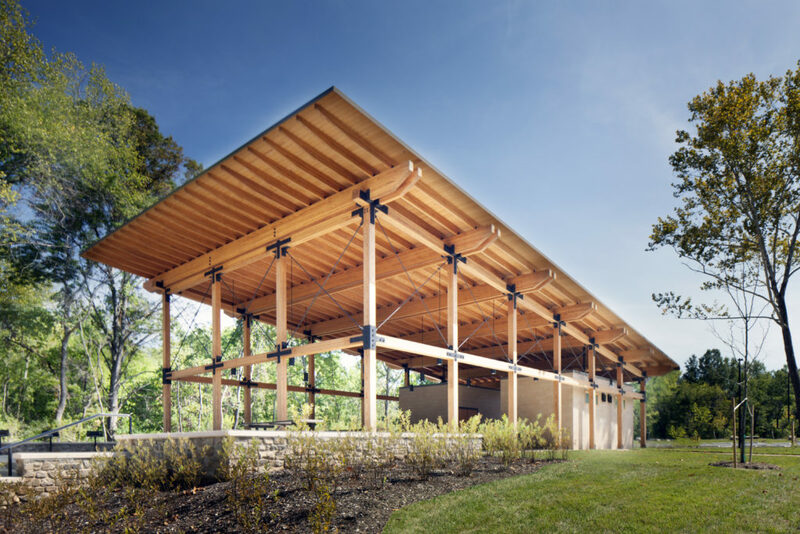 Phase I, known as the Grove, contains trails, a pavilion, a dog park, gardens, and a playground that blends modern play with natural elements. 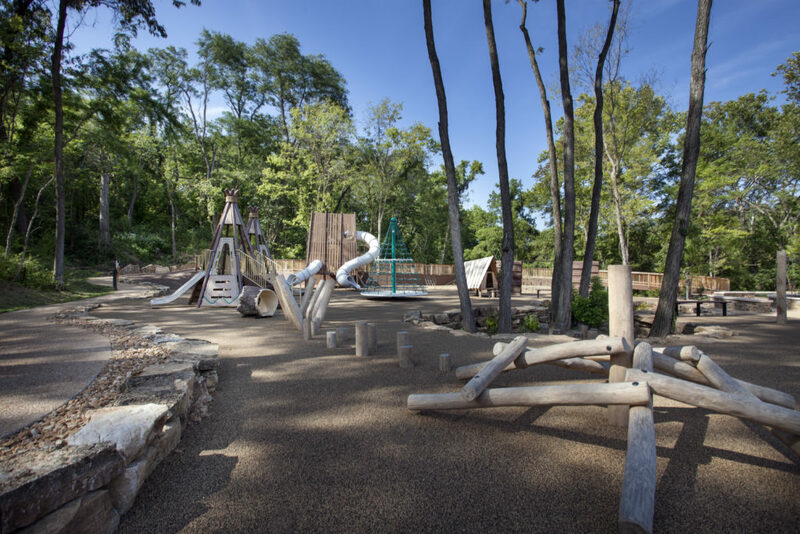 Design elements stay true to Wildwood’s desire for Natural Play.